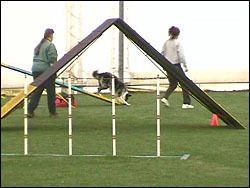 Dog Agility Training Electronic Equipment-Devices -"Touch It" , "Hit It" Board , "Move It", "Tug It", "Squiggle It"
Featuring creative dog training tools for today's savvy dog trainers. the "Hit It!" board, "Touch It! ", "Move It! ", "Tug It!" & "Squiggle It!" 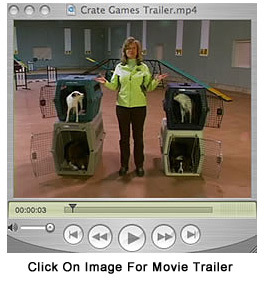 Positive Electronic Contact Dog Training Devices, A-frame Mover & Tug Trainer. 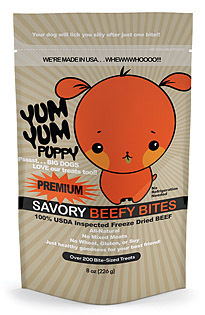 FREE shipping on Yum Yum treats. Use coupon code YYTR at checkout. On Our Secure Shopping Cart. one that is completely rubberized. our wildly popular “Hit It!” Board is now available in a rubberized version. running training contact device has emitting either an audible or visual signal that confirms that the dog actually did hit the intended area of the contact. Take ALL the guesswork out of training running contacts! 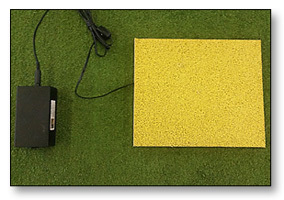 The “Hit It!” Board, used by top trainers throughout the world, is your answer! Dehydrated Pumpkin! No more cans! No more waste!... just add water. GREAT FOR TRAVEL AND CAMPING!!! FiRM UP! will do the trick! FREE shipping on FiRM UP! Use coupon code FUFR at checkout. Click Here To Learn More About FiRM UP! Click Here To Purchase FiRM UP! Squid provides intermittent cold compression using a proprietary sequential compression wrap and cold gel pack designed to direct edema away from the extremities and towards the heart, promoting venous return and enhancing circulation. Squid's unique design allows for tremendous relief from muscle and joint pain, and can help speed up injury and performance recovery times. 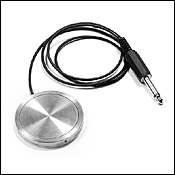 Its quiet and portable system allows for convenient use. 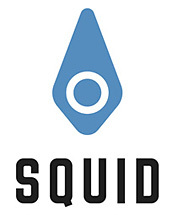 Squid is designed by scientists to be comfortable, portable, durable and frequently used. A completely portable unit, treatment is 15 minutes with 4 simple compression modes. Targeted cold conforms to the treatment area to drive cold deep into the joint or muscle. 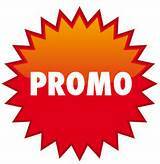 for 10% off using code SQD10 on our secure shopping cart. Click Here To Learn More About "SQUID"
Click Here To Purchase "SQUID"
the 2 on 2 off contact training method, these devices will enable you to train fast, consistent contacts. 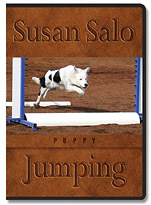 Susan Garrett and used by countless dog agility competitors throughout the world. If a running contact is your preference the "Hit It!" Board detects the moment your dog steps on the actual contact area. either of these devices, the device will beep assuring you that the dog did its job. All you now have to do is deliver to your dog its reward. "Hit It!" Board automatically detects when your dog steps on the contact and provides the feedback for you with a simple, pleasant tone. No more missed or late clicks to confuse your dog! The "Hit It!" 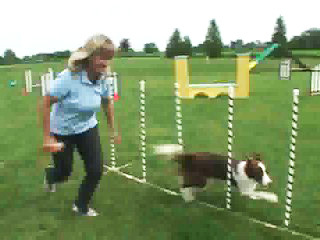 Board is the most consistent, reliable, and simple dog training device on the market to teach running contacts. no ill-timed clicks. The "Touch It!" does it all for you! "Hit It!" Board & "Touch It!" with at that time her 22 month old "Shazam" at a USDAA trial in the Starters Standard Class. "Hit It!" board and the "Touch It!". is all grown up now. AKC show. Fastest dog at any height. of this lovely contact performance. Tired of lugging and lifting your A-frame? The "Move It!" is the answer! 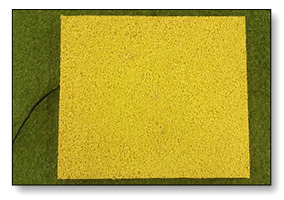 Works on all surfaces including dirt and grass. See a demo of the "Move It!" by clicking on the link below. Click Here To Learn More About "Move It!" Click Here To Purchase "Move It!" Our latest item to help build a fun, playful relationship with your dog! along with the ability to dispense food. The "Tug It! "2 is sure to turn your favorite canine into a master tugger! Our wildly successful "Squiggle It!" Now with both double and bungee handles! A tug toy that your dog will find irresistible! playing with the "Squiggle It!" Click Here To Learn More About the "Squiggle It!" Click Here To Purchase the "Squiggle It!" Tired of trying endless ways to teach your dog the wonderful game of tug? The "Tug It!" will help make this process both fun and easy for you and your Fido. 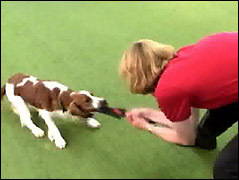 to teach a dog to tug. To see the "Tug It!" in action, click on the picture or link below to view a short video demonstrating its use. 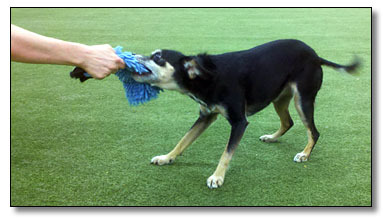 Click Here For "Tug It"
for those dogs that do not have any tugging behavior at all. 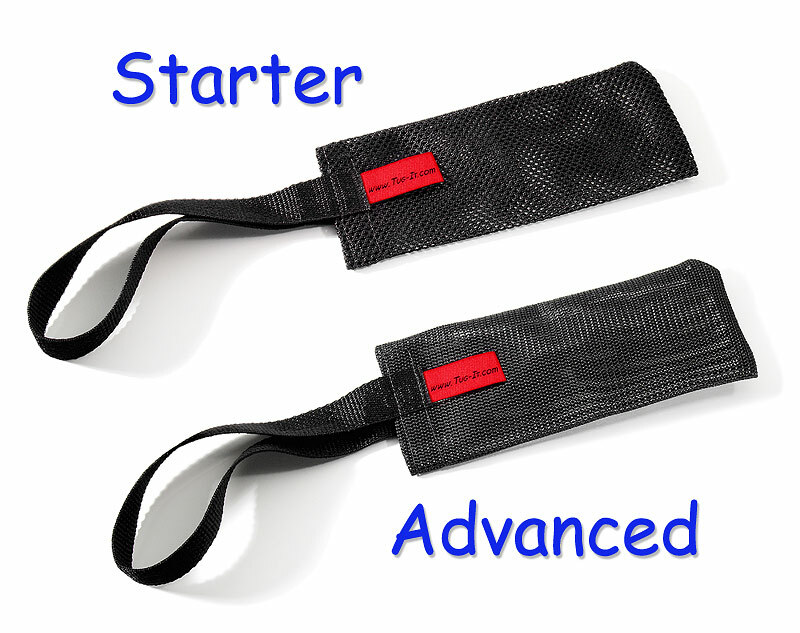 for those dogs that have some tugging behavior already that you want to enhance. as a must have training device for 2009. Click here to read that article. Click Here To Learn More About "Tug It!" Click Here To Purchase "Tug It!" 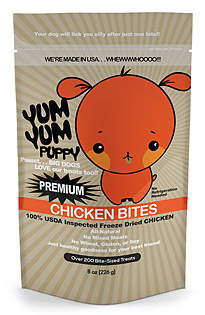 with food reinforcement for your Fido. and puts less strain on the handlers back and arms! 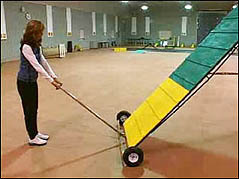 training device for 2009. Click here to read that article. Click Here To Learn More About "Tug It!" 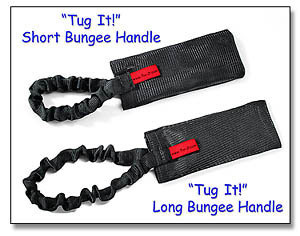 bungee handle. Click Here to Learn More About the original "Tug It!" Joint & Muscle Support for Your Dog. FREE SHIPPING ON ANY 1-TDC® Order ! 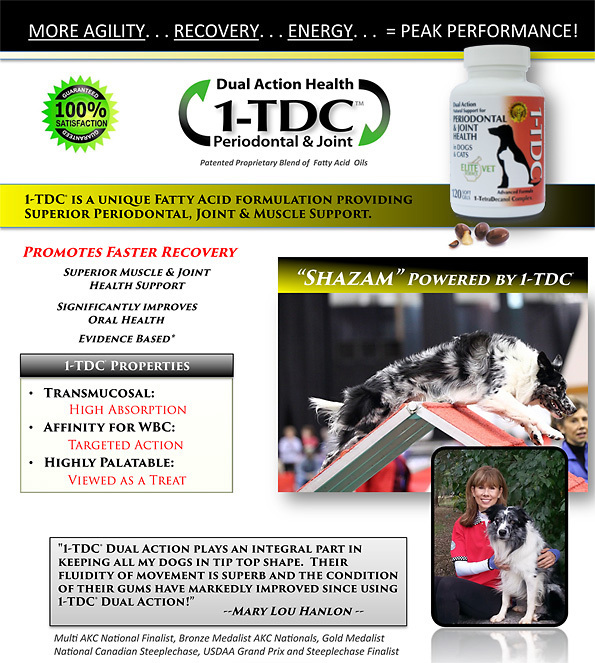 To Purchase " 1-TDC® "
Does your canine sometimes suffer from an upset tummy? 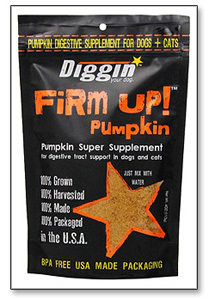 to your pet's diarrhea and get them back to their normal selves. does not need any refrigeration and has a very long shelf life. A must have for your first aid kit. Click Here To Learn More About "Happy Belly Paste"
Click Here To Purchase "Happy Belly Paste"
Stuffed Animals of YOUR Pet! to offer a 10% discount on Cuddle Clones. Cuddle Clones are one-of-a-kind plush replicas of your pet. that looks just like your pet. Cuddle Clones make great gifts for dog lovers! Don’t forget to use coupon code HITIT10 for 10% off ! To learn more about Cuddle Clones. Our 2x2 Weave Poles are the exact configuration that Susan Garrett, the developer of this wonderful method of training weave poles, recommends. The bases are made of 3/16” thick, 1½” wide steel, with 20" between poles to emphasize the zigzag motion during training. 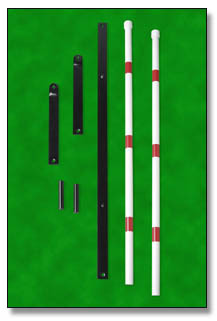 If other spacing such as 24" between poles is desired just put that in the comment section of your order. 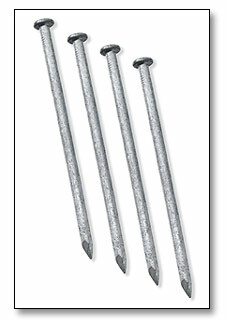 The bases have 4 counter sunk holes so that the spikes used to secure the poles are flush to the bases. The bases come in black, blue, brown, green, red and white. 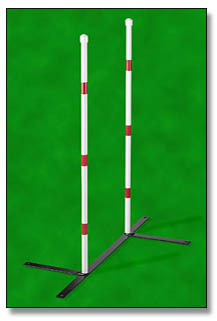 Poles can be ordered with either red or blue stripes. 1 base which includes 2 poles is $40 plus shipping/handling. 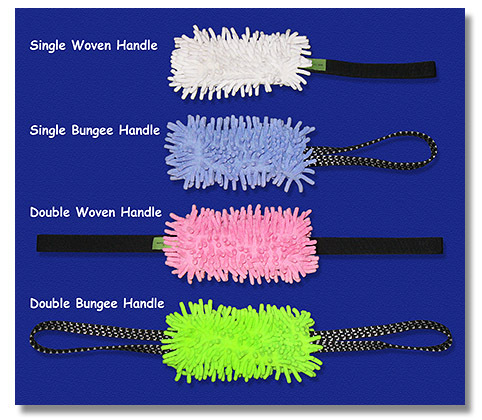 To Purchase "2x2 Weave Poles!" but don’t have the right equipment? Tight on storage space? Shipping costs too expensive? Portable 2x2 bases are your answer! Instead of the solid, difficult to transport 2x2 bases, these bases break down into individual pieces. The bases easily screw together in seconds to form the assembled version you see above to the right. No tools required! Easy to pack in your car for easy transport. Less expensive to ship than solid base 2x2’s. International clients, this is your answer to getting quality 2x2 bases without the costly expense of shipping solid bases overseas. for use with her 2X2 weave pole training method. 1 base which includes 2 poles is $54.95 plus shipping/handling. 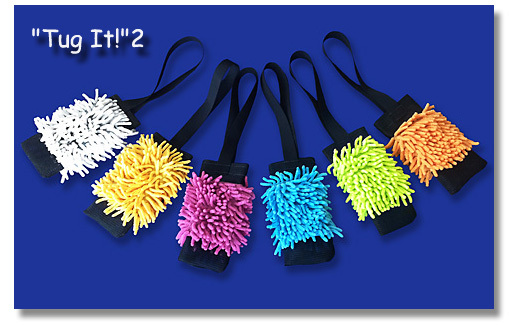 To Purchase "Portable 2x2 Weave Poles!" These spikes will fit your 2x2 poles perfectly. they will fit flush to the base. Click Here To Purchase "Anchoring Spikes"
Unlock the natural instincts of your dog in a healthy way. 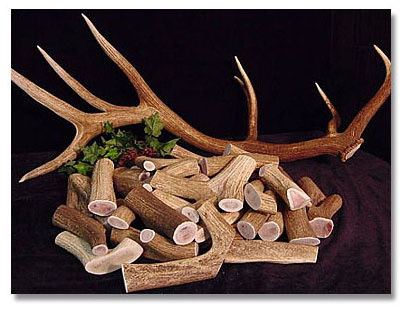 With Our Premium Irresistible Elk Antlers. in whole as well as center cut styles. They are suitable for the tiniest pup up to giant breeds. 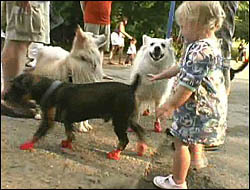 Pawz is the world’s only disposable and reusable, waterproof dog boot. Made of natural rubber, Pawz are 100% biodegradable. Pawz are designed to go on easily and fit securely without zippers or straps. Fashionable yet durable, Pawz offers serious paw protection. 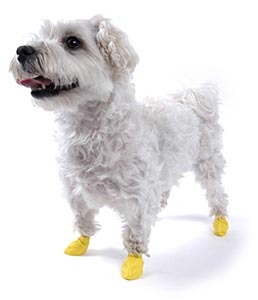 Pawz is the most natural-feeling boot your dog can wear because without padding your dog feels the ground, providing a needed sense of security. Like a sock, Pawz moves with your dog, allowing full paw motion and maximum comfort. And imagine never losing another expensive dog boot again! Pawz come 12 in a package and each boot may be worn many times. Pawz come 12 in a package. 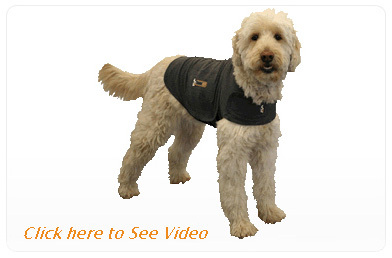 To Purchase "Pawz dog boots"
Thundershirt is made of a durable washable fabric. calming effect on the nervous system. Keep your dog & cat insect free! Click Here To Learn More About Flea Flicker! Tick Kicker! Click Here To Purchase Flea Flicker! Tick Kicker! "You asked and Susan Salo delivered. 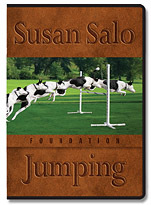 The jumping book that trainers have been asking for—a comprehensive reference for Susan Salo's jumping grids that will help you get even more out of her DVDs, and also help you make the transition from foundation and advanced gridwork to adding motion and handling to your gridwork. 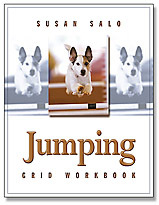 This workbook maps out all of the grids used in Susan's program, proper spacing and heights along with lesson plans to turn your canine into a magnificent jumper. 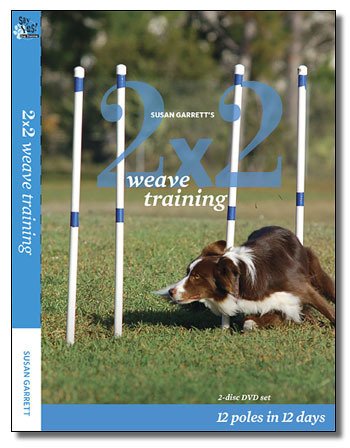 This is a must have for any agility competitor. " 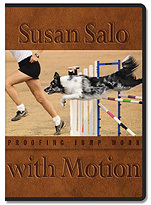 “Proofing Jump Work with Motion"
throughout the U.S. and Canada. She is a regular contributor to “Clean Run” magazine. to your own dogs training program. 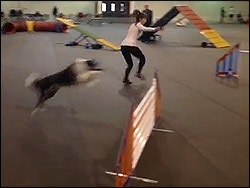 While dogs jump, they don’t necessarily know how to jump. 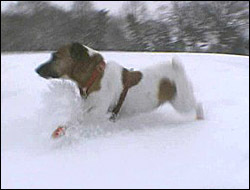 Dogs that have a true understanding of this task work much more efficiently and with confidence. This will aid them in being faster and less injury prone. 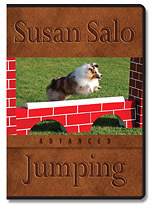 Give your dog the jumping education he deserves! 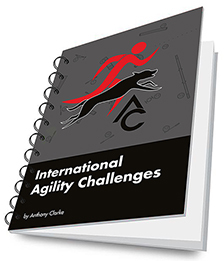 International Agility Challenges, has over 150 different drills. It is an invaluable resource book for handlers and trainers looking to advance their skills on international style courses, regardless of their own handling style or system. 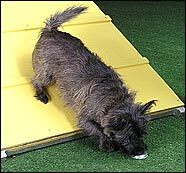 Anthony Clarke is one of the UK’s top trainers and competitors with 16 years’ experience working with dogs and taking every dog he has owned to the very top level of British Agility. fast weaving dogs of all breeds from minis to maxis. Click on the link below to see a preview of the DVD. 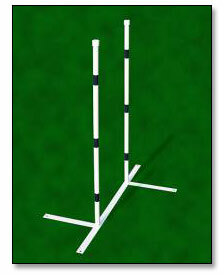 Be sure to purchase your 2x2 Weave Poles. The 2x2 method can not be successfully taught without the proper equipment. The actual 2x2 weave poles bases are integral to the success of this methodology. This much talked about DVD has finally arrived! 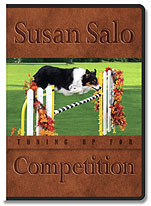 The cornerstone of Susan Garrett’s amazingly successful dog training program this DVD is a must have for any new puppy owner but equally as critical for those wishing to alter the working relationship they have with their pet. Step by step instruction allows both the seasoned professional and the first time dog owner to effortlessly create extraordinary behavior in their dog with very little working space required. Featuring puppies 8 weeks to dogs 7 years old Crate Games is a unique teaching model to produce; a dog that can relax in his crate even while you work another dog, a phenomenal sit stay, focus and motivation for work, a speedy and dependable recall, distance skills for obedience or agility, self rather then imposed control, a remarkable working relationship, confidence while being proofed during any tough distraction, a dog that keenly offers responses when being shaped and much more. a critical part of their foundation classes! Click Here for a sample of the DVD! Be patient...it may take a minute or more to download. QuickTime™ player required - Click Here to download. “On Course To Excel” which focuses on course analysis and decision making in order to shave those vital seconds off the stopwatch. Courses taken from recent national and international events are analysed and handling strategy discussed and explained. Comparisons between good and bad decisions made are effectively highlighted. The DVD's are in our warehouse now. Get your order in before our initial shipment sells out! you and your dog become the winning combination"